A crazy life can be a gift. I’m hoping to make my cat BooBoo a regular feature. Meet BooBoo the Cat. He’s approximately 8 years old and he’s pretty awesome. 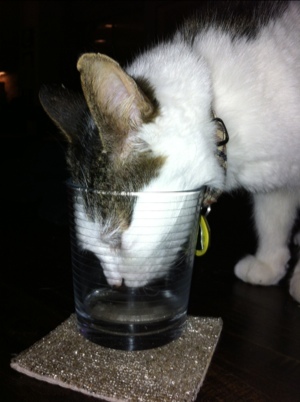 He also has a bit of a drinking problem.